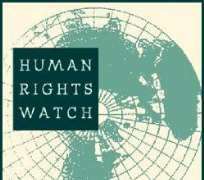 (Dakar, November 26, 2009) – The Nigerian government has not brought a single prosecution or even begun investigations a year after Nigerian policemen and soldiers killed more than 130 civilians in responding to deadly sectarian clashes in the central Nigerian city of Jos, Human Rights Watch said today. The government should investigate and prosecute members of the security forces implicated in these and a series of subsequent abuses, Human Rights Watch said. In the year since the violence in Jos, Nigerian security forces have been implicated in other abuses and incidents of extrajudicial killings without facing any official sanction. In July 2009, the police in northern Nigeria brazenly executed the leader of a militant Islamist group in police custody. In April, police, politicians, and election officials were implicated in election violence and vote-rigging in Ekiti State, in southwest Nigeria. President Umaru Yar'Adua called for investigations or set up an investigatory panel in these cases and vowed that those responsible would be prosecuted, but no one has been held accountable. On November 28 and 29, 2008, following a disputed local government election, 700 people died as a result of sectarian violence in Jos and excessive use of force by the security forces. Human Rights Watch documented 133 cases of unlawful killings by members of the security forces who had been deployed to quell the sectarian violence. Police officers and soldiers gunned down residents in their homes, chased down and killed unarmed men trying to flee to safety, and lined up victims on the ground and summarily executed them. President Yar'Adua set up a panel in December 2008 to investigate the Jos violence, but the panel is only scheduled to begin hearings in December 2009. The Plateau State governor also formed a commission of inquiry, which held hearings but failed to investigate alleged abuses by security forces. The findings, which were submitted to the governor on October 27, have not yet been made public. Neither the Nigeria Police Force nor the Nigerian Army has investigated or punished security personnel implicated in the Jos killings. “Given the shocking failure of the police and military to punish those responsible, a heavy burden now rests on the presidential panel to conduct a thorough and impartial investigation,” Dufka said. The violence in April in Ekiti State came during a closely fought gubernatorial election rerun. The police were accused both of aiding political thugs in rigging the election and of turning a blind eye to the violence. President Yar'Adua acknowledged that politicians in “collaboration with electoral and security officials” were accused of violence and vote-rigging. On May 12, he ordered the security agencies to investigate and prosecute those responsible for the “violence, intimidation of voters, [and] bribery of electoral officials.” But six months later, no police officer or public official has been charged in any of these crimes. The Nigerian police were also implicated in several highly publicized extrajudicial killings in July during a week of clashes in northern Nigeria between security forces and a militant Islamist group known as Boko Haram. The violence left more than 800 people dead, most of whom, according to government authorities, were suspected Boko Haram members. The Nigerian Army arrested Mohammed Yusuf, the Boko Haram leader, on July 30 and transferred him to the state police headquarters in Maiduguri, the capital of Borno State. The police executed him and left his bullet-ridden body for public display. The following day, Buji Foi, a former state government official suspected of funding Boko Haram, and Yusuf's 72-year-old father-in-law, Baba Fugu Mohammed, were also reportedly killed in police custody. Four months later, however, not a single police officer has been disciplined for the killings of Yusuf or the others who died in police custody. The police claim they are still waiting to receive the report from the national security adviser.